Erin Chambers (born September 24, 1979) is an American actress, best known for her role as Siobhan McKenna Spencer on ABC soap opera General Hospital . She has made guest appearances in a number of television shows. In film, Chambers played the female lead in The Singles 2nd Ward . She starred in the Disney Channel original movie Don't Look Under the Bed . She also starred in the 2007 film Heber Holiday along with Torrey DeVitto. Chambers starred as Priscilla Presley in the 2007 film Tears of a King alongside Matt Lewis as Elvis Presley, which depicts Elvis's last years. Chambers starred in the 2008 LDS film The Errand of Angels , the story of an LDS missionary in Austria learning to cope with a different culture and the missionary lifestyle, as well as a difficult companion. Chambers also has had many guest roles in television shows such as Drake & Josh , ER , Veronica Mars , Joan of Arcadia , Stargate: Atlantis , CSI: Crime Scene Investigation , CSI: NY , Bones , Standoff , and Cold Case . The Singles 2nd Ward is a 2007 LDS romantic comedy film, directed by Kurt Hale. Like The Singles Ward, and the films which followed it, its target audience is members of The Church of Jesus Christ of Latter-day Saints and citizens of Utah. As such, references to and parodies of the Mormon and Utah subcultures pervade the film and are unlikely to be understood by outsiders. However, the film provides a view into the sometimes strange world of the Mormon culture. The original cast returns for this sequel. Dalen has finally met the girl of his dreams. Christine is everything Dalen has ever wanted: sweet, simple, and devoted to the gospel. Too bad his future in-laws are anything but. Don't Look Under The Bed is a made-for TV horror film directed by Kenneth Johnson. It was released on October 9, 1999 as a Disney Channel Original Movie (DCOM). Heber Holiday (2007), also known as Shooting Star, is a comedy film starring Torrey DeVitto as Los Angeles actress Sierra Young. Other cast included K.C. Clyde, Erin Chambers, Jimmy Chunga, Michael Birkeland and Thurl Bailey. The film was directed by McKay Daines. The film won six awards in total. The DVD was released on May 5, 2009 under the name Shooting Star. 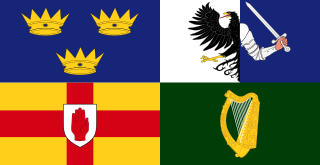 The Young and the Restless is an American television soap opera created by William J. Bell and Lee Phillip Bell for CBS. The show is set in a fictionalized version of Genoa City, Wisconsin. First broadcast on March 26, 1973, The Young and the Restless was originally broadcast as half-hour episodes, five times a week. The show expanded to one-hour episodes on February 4, 1980. 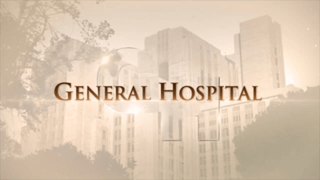 In 2006, the series began airing encore episodes weeknights on SOAPnet until 2013, when it moved to TVGN. As of July 1, 2013, Pop still airs the encore episodes on weeknights. The series is also syndicated internationally. 2004 Strong Medicine Madison Episode: "Ears, Ho's & Threat"
2004 Drake & Josh Kathy Episode: "First Crush"
2004 CSI: Crime Scene Investigation Molly Zimmerman (uncredited) Episode "Bad Words"
2004 Joan of Arcadia Majorette God Episode: "Vanity, Thy Name Is Human"
2005 Veronica Mars Amelia DeLongpre Episode: "Kanes and Abel's"
2006 ER Brooke Sawyer Episode: "Strange Bedfellows"
2006 Standoff Krista Episode: "Pilot"
2006 CSI: NY Verna Welke Episode: "Consequences"
2007 Close to Home Amy Lewis Episode: "Barren"
2007 Bones Kat Curtis Episode: "The Secret in the Soil"
2008 Without a Trace Laura Richards Episode: "Article 32"
2009 10 Items or Less Mary Lou Episode: "Sesquicentennial"
2009 Medium Julie Snowden Episode: "How to Make a Killing in Big Business: Part 1"
Episode: "How to Make a Killing in Big Business: Part 2"
2009 Cold Case Darcy Curtis Episode: "The Crossing"
2010 Miami Medical Kate Prentice Episode: "88 Seconds"
2010 Ghost Whisperer Sherry Episode: "Dead Eye"
2012 Castle Suzanne Steiner Episode: "A Dance with Death"
2012 The Glades Meghan Connor Episode: "Islandia"
2013 NCIS: Los Angeles Jenna Parish Episode: "Kill House"
2014 Rizzoli & Isles Caitlin MacCarthy Episode: "A New Day"
Eileen Marie Davidson is an American actress, author, television personality and former model, best known for her performances in television soap operas. Davidson is best known for her roles in soap operas as Kristen DiMera on NBC's Days of Our Lives, and Ashley Abbott on CBS's The Young and the Restless and The Bold and the Beautiful. Sharon Case is an American actress and former model. At the age of 17, Case began working as a model, relocating briefly to Japan, before pursuing an acting career. She is best known for her roles on daytime television soap operas, scoring parts in the serials General Hospital and As the World Turns during the early stages of her career. In 1994, she stepped into the role of Sharon Newman on the CBS daytime soap opera The Young and the Restless, which she still plays. Case, who is considered a leading actress in the series, won the 1999 Daytime Emmy Award for Outstanding Supporting Actress in a Drama Series for her performance. Kristoff St. John was an American actor. 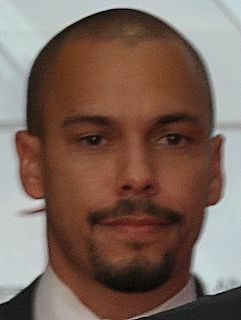 From 1991 to 2019, he portrayed the role of Neil Winters on The Young and the Restless, which earned him eleven Daytime Emmy Award nominations, two Emmy Awards, and ten NAACP Image Awards. Michelle Stafford is an American actress, screenwriter and producer. She is perhaps best known for her role as Phyllis Summers on the CBS daytime soap opera The Young and the Restless, for which she has won two Daytime Emmy Awards. In 2013, Stafford created and starred in her own comedy web series, The Stafford Project. She currently stars as Nina Reeves on the ABC daytime soap opera General Hospital. Ashley Aubra Jones is an American actress. She is known for her roles in soap operas as Megan Dennison on The Young and the Restless and as Dr. Bridget Forrester on The Bold and the Beautiful. She also had a recurring role as Daphne on the HBO drama series True Blood in 2009. Gregory Andrew Rikaart is an American actor. Michael Graziadei is an American actor, known for his role as Daniel Romalotti on the CBS daytime soap opera The Young and the Restless. Susan Walters is an American actress and former model, best known for her roles as Lorna Forbes on the ABC daytime soap opera Loving from 1983 to late 1986 and as Diane Jenkins on the CBS soap opera The Young and the Restless from 2001 to 2004, and again briefly in 2010. Walters had recurring roles as Principal Rimkus on The CW's One Tree Hill, as Carol Lockwood on The CW's The Vampire Diaries and as Natalie Martin on the MTV series Teen Wolf. Emme Marcy Rylan is an American actress. From 2005 until 2013, she was credited as Marcy Rylan. She is best known for her portrayals on the CBS soap operas Guiding Light as Lizzie Spaulding and The Young and the Restless as Abby Newman. She currently stars as Lulu Spencer on ABC's General Hospital. John Enos III is an American film and television actor. Hunter Haley King is an American actress. She is known for portraying Adriana Masters on Hollywood Heights (2012), Summer Newman on The Young and the Restless (2012–present) and Clementine Hughes on Life in Pieces (2015–present). Earlier in her career she was credited as Haley King, but she has since been credited as Hunter King. Hartley Sawyer is an American actor, producer and writer. He is known for his roles as Dagr in the Geek & Sundry superhero comedy Caper, the thriller Kept Man, and as Kyle Abbott on the CBS Daytime soap opera The Young and the Restless. As of 2017, Sawyer stars as Ralph Dibny / Elongated Man on The CW series The Flash. Alyvia Alyn Lind is an American child actress. She is known for playing the roles of Faith Newman on the CBS daytime soap opera The Young and the Restless since 2011, and young 9-year-old Dolly Parton in the made-for-television movies Dolly Parton's Coat of Many Colors and Dolly Parton's Christmas of Many Colors: Circle of Love. 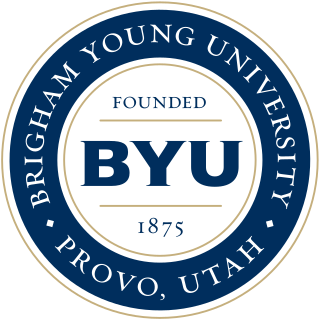 ↑ "BYU Actors Maintain LDS Standards"
↑ "Erin Chambers Bio". Soap Opera Digest. Archived from the original on 2013-10-29. Retrieved 2013-10-25. ↑ "ERIN CHAMBERS". Soap Opera Digest. Retrieved July 15, 2016. ↑ "SOAP ALUM WELCOMES BABY BOY". Soap Opera Digest. June 3, 2016. Retrieved July 15, 2016. ↑ Chambers, Erin (June 20, 2016). "Carson went back to work today so Roan & I had our first day alone together. I successfully kept him alive #winning". Twitter. Retrieved July 15, 2016. ↑ Chambers, Erin (June 7, 2013). "My Young and The Restless episodes start this week! Tune in Thursday, June 6th to see my first day in Genoa City! :)". Twitter. Retrieved June 2, 2013. ↑ "Bye, Girl: Erin Chambers Mercifully Departs The Young and the Restless". Daytime Confidential . Archived from the original on 2013-11-06. Retrieved 2013-10-25. ↑ "Erin Chambers out as Y&R's Melanie | The Young and the Restless". SoapCentral . Retrieved 2013-10-25. ↑ "Erin Chambers - My first Scandal episode airs tonight..." Facebook. Retrieved 2013-10-25.